TSP Legal > News > Business Briefings > Construction Law Update: No more “Smash and Grab”? 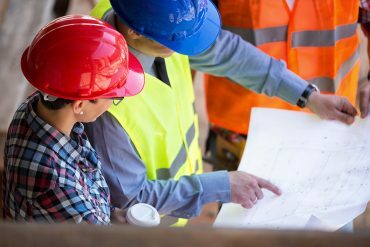 One of the driving forces behind the Construction Act (the Act) was to foster and promote better cash flow for those carrying out works in a building project and, on a wider scale, for the construction sector. The idea was to deliver a process that would encourage timely payments to contractors and sub-contractors for work carried out by them, and to ensure that appropriate payments were made to the appropriate parties, at the appropriate time. Prior to the Act, contractors and sub-contractors were at risk of delayed (and, sometimes, inadequate) payments for the work they carried out. The Act sets down a strict payment regime. To be paid, a party (the payee) will submit a payment notice (or payment application) to a paying party (the payer), in respect of works carried out, within a prescribed period. The payment notice will specify the sum considered by the payee to be due, and the basis upon which that sum has been calculated. The onus is then on the payer (often the employer) to agree, or dispute, the sum claimed. If the payer disputes the claim, it must submit, within a further prescribed period, a pay less notice specifying the sum considered by the payer to be due, and the basis of that calculation. If the payer fails to properly submit a pay less notice, it will be deemed to have agreed the amount claimed by the payee in the payment notice (or payment application). If it is then not paid, the payee has the right to commence adjudication for the full amount of the payment notice (whatever that amount might be). Prior to the Grove case, it had been thought that, as detailed above, where a payer fails to respond to a payment notice, it will have to pay the amount stated in the payment notice (or application), and that this could not then be reviewed (and, where applicable, any part repaid) until the final account was submitted at the end of the works (which could be some time in the future). This had therefore become known as the “smash and grab” adjudication. Following the Grove case, it now appears that a payer can immediately commence its own adjudication (after the first adjudication) to establish the true value of the work carried out and, if this is less than the amount that has been paid (under the first adjudication) then the overpayment will have to be repaid immediately. Effectively the payer will now not be precluded from commencing its own adjudication to determine the true value of the works before the final account is submitted. If the adjudicator’s decision in the second adjudication is given before debt enforcement proceedings are taken in respect of the first adjudication, the court may decide to take into account the decision in the second adjudication when reaching its enforcement decision for the first adjudication (the court may decide to net-off the respective sums determined under the two adjudications). The decision in Grove may yet go to the Court of Appeal. But until then (and although based on its particular facts), the case marks a notable shift in the payment regime under the Act. It is true that a payer may still be penalised if it fails to serve a pay less notice on time, as it will allow the payee to adjudicate for the full amount of the sum claimed in its payment notice. But that has been tempered somewhat by Grove, which allowed the payer to dispute the sum claimed as the true amount due (even after it failed to serve a pay less notice) immediately following the payee’s adjudication, rather than having to wait for the final account to be submitted.